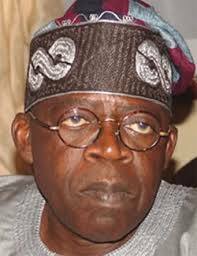 Former Lagos State Governor, Asiwaju Bola Ahmed Tinubu, was absent at an All Progressives Congress (APC) National Caucus meeting presided over by President Muhammadu Buhari, at the Presidential Villa, Abuja. The meeting is a prelude to today’s National Executive Committee (NEC) meeting of the party. The caucus had on its agenda, only two main issues: consideration of the party’s constitution amendment and consideration of a report of the committee set up by the party on true federalism. Those in attendance, yesterday night, were Buhari’s deputy, Prof. Yemi Osinbajo, Senate President, Bukola Saraki; Secretary to Government of the Federation, Boss Mustapha, state governors, members of the party’s National Working Committee and other party chieftains. Tinubu was absent as at time the meeting went into a closed session. Earlier, the party’s spokesman, Mallam Bolaji Abdullahi, All Progressives Congress (APC) revealed that the NEC would meet today and, principally, discuss two items. “If you recall, after the NEC meeting last month, I told you that two issues were outstanding and members asked for more time to study those issues. “These are the issues of constitutional amendment and the true federalism committee report. If you look at the calendar whichwas circulated during the last meeting, we are going to have a convention by June, and a committee will be set up to that effect. But, no committee has been set up yet, and it is not on the agenda for the meeting. In any case, such committee is not set up at the NEC meeting. “The purpose of bringing the issue of constitutional amendment to the NEC is to allow members who have issues to raise and opinion to canvass or perspective to share, to have opportunity to do so before the final draft is adopted by NEC. On the controversial tenure elongation of the NWC, he said: “As a matter of principle, in every political environment, you should expect such contentions. “To that extent, we are not surprised. But, what will be slightly surprising is that after the highest organ of the party, outside the convention, has taken a position, you do not expect members of the party to take legal action against the NEC. “This is a new experience for us and it is unprecedented; our constitution does not support members taking legal action without exhausting internal mechanism for resolving grievances. “There is no evidence that aggrieved members availed themselves of the opportunities that exist internally to express their grievances before taking the matter to court,” he said.